Pittsburgh Professional Women - Yes You CAN Do It All--Just Not at the Same Time! Yes You CAN Do It All--Just Not at the Same Time! Ready to SHIFT Your Life from FRANTIC to FOCUSED? Pittsburgh Author Beth Caldwell has been teaching women how to grow their business and get paid what they’re worth for more than a decade. Her successful image and bright smile never revealed the chaotic and frantic lifestyle that went on behind the scenes. Her choices led to a serious illness which required drastic changes. Surprisingly, these changes resulted in an immediate growth in her business, improved health and a focused, intentional lifestyle. In this fun and refreshing workshop, Beth shares her personal story and ten simple habits that any woman can incorporate immediately to shift a chaotic lifestyle into one that is focused, intentional and productive. In this fun and inspirational presentation, Beth shares the strategies she learned that will help women who are ready to break through guilt barriers and enjoy successful careers AND peace in their personal lives. This workshop is ideal for any woman who strives for excellence both personally and professionally. 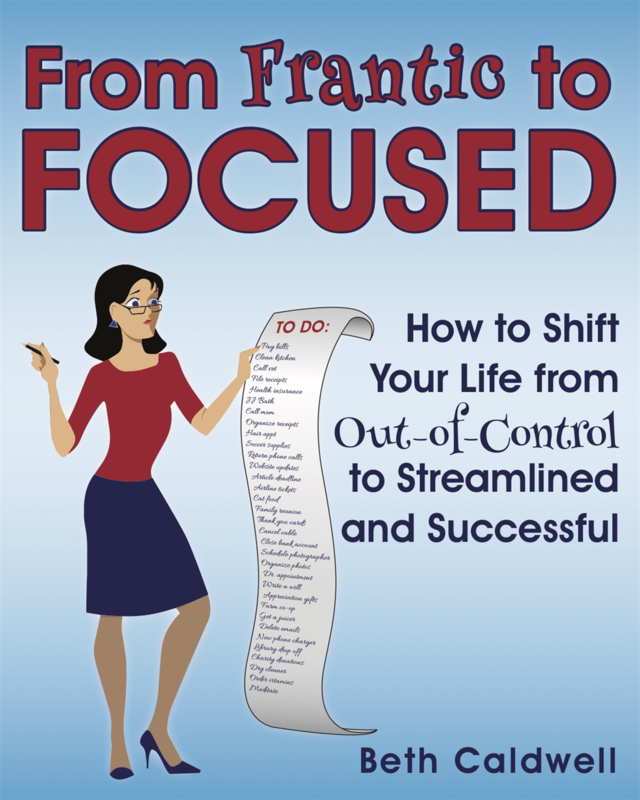 You'll receive a signed copy of Beth's book, From Frantic to Focused. During the workshop, you'll learn her 7 simple success strategies and discover important A-HA’s that are both important and inspirational. Prepare to laugh, cry, and be motivated. YES!! Bring a friend.